“Industry 4.0” has become the main keyword for the future of Europe´s innovation strength in the industrial sector. It is a superordinate concept which includes among other things the future of manufacturing processes and production sites. New business models are emerging and new manufacturing processes need to be implemented along the value added chain on the basis of combinations of already existing technologies and new developments. Especially, the ongoing digitalization of physical systems combined with the possibilities of connected systems will have a great impact on future manufacturing processes, leading to “smart factories”. Consequently, the organizational systems and planning tools must be adapted to the new technologies, which pose a great challenge especially for small and medium-sized enterprises. For this purpose, we invite you to discuss the future of factories and the associated impact and consequences on the local and global markets together with experts from universities, research centers and companies from the regions of Vienna, South Moravia and Bratislava. Interesting talks will provide you with insights into the upcoming changes and also inform you about funding opportunities. Furthermore, the event will include network sessions and put a special emphasis on matchmaking and connecting stakeholders from Austria, the Czech Republic and Slovakia. In addition, there will also be the possibility to visit Vienna´s first pilot factory. The concept of the pilot factory contains a manufacturing line including additive manufacturing, automatic processing, quality assurance systems, fully automated logistic system based on RFID technology and robotics. Effective networking for companies and research organizations. JIC 120" hosted total of 766 participants from companies and research organizations who gained 2,697 new contacts and established 1200 cooperations. Participants meet at the round tables according to a predetermined schedule. Each representative has 120 seconds to present activities of company/research organization and areas for possible cooperation. Participation in the events is free of charge and each company can be represented by 1 representative only. Registration is closed. If interested, please contact Iva Walterová to register on waiting list. *JIC provides free transport for companies on the route from Brno to Vienna. For more information, please contact Iva Walterová. 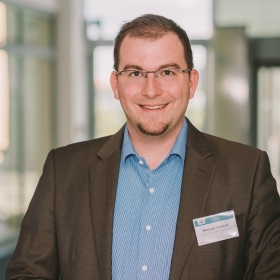 Leonhard Muigg has been active as the Industry 4.0 Coordinator of Siemens AG Österreich since November 1, 2015. He acts as the communicator between the Siemens groups and the industry partners in order to position and advance the topic of Industry 4.0. Furthermore, he coordinates the activities in the economic region Central and Eastern Europe together with the Siemens responsibles. Prior to this position, he worked for Siemens as an Enterprise Sales Executive from 2008 onwards, a field where he contributed his expertise on the topic of digital manufacturing planning and was in charge of customers from all industry segments. 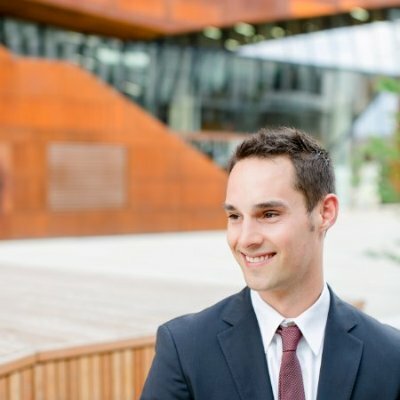 Peter Kuen is working for the Technology Services of the Vienna Business Agency. This team supports Technology-oriented companies in the form of monetary funding, individual counseling as well as high-quality research infrastructure and special properties. In this team he is specialized on the field smart production / Industry 4.0 and he has a wide experience in the automotive and railway industry. Mr. Jürgen Rattenberger is an expert in European ICT research and the National Contact Point for Future and Emerging Technologies in the European and International Programmes of FFG. He has an MBA in innovation management and entrepreneurship and a background in robotics with almost 10 years of experience in consulting researchers and innovators. The main mission of the European Programmes is to consult Austrian based academic and industrial players to position their organizations and research and innovation projects in Horizon 2020 and other European Initiatives. 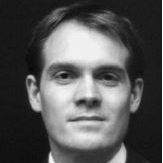 Christoph Pollak (TU Wien) studied chemical engineering in Vienna, Amsterdam and Strasbourg. 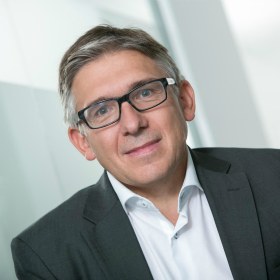 After receiving his doctorate in 2001, he began his career at Siemens AG, where he worked as a research project manager in the field of Mobile Communications and later as Technology Manager for Siemens IT Solutions and Services. After working for the Austrian Institute of Technology (AIT) he became a project manager at researchTUb. Since October 2011 he is also a research associate of the Institute for Production Engineering and Laser Technology (IFT) at the TU Wien. He is the author of numerous publications and (co-)inventor of several patented inventions. Mr. Pavel Krečmer is the Head of the Netme Centre (New Technologies for Mechanical Engineering), a 50M Euro governmental initiative, supporting Czech industry in advanced manufacturing technologies and best manufacturing practices ultimately promoting Czech regional knowledge economy. Prior to his appointment at Netme he had a managerial position in Honeywell Advance Technologies and Rolls Royce. He also co-founded a £3.2M start-up company, a spin-out from Cambridge University, in diffraction optics and data storage. He holds a PhD in Physical Chemistry from Cambridge University. 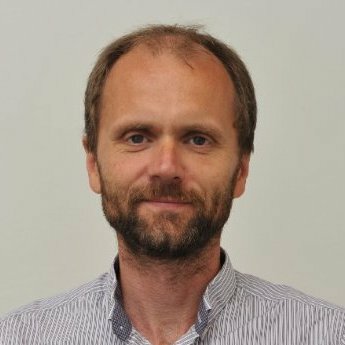 Mr. Miroslav Konečný is a senior consultant / project manager for EU community programmes focused on innovation (H2020, FP7 and CIP). He has management and business development experience from numerous projects implemented by international consortia. 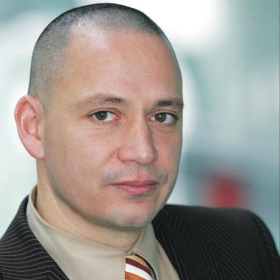 Currently he acts as an innovation management consultant in Slovakia and the Czech Republic. He contributes to development of collaborative projects in areas of data value chain, ICT, security, energy and transport. *each company can be represented by 1 representative only.